Tate Student Resources - Tate Modern in London has some fantastic articles, information and guidance on a variety of art related topics. Well worth a look. Tara Leaver - Tara is a very generous artist with her resources and experience. Her enthusiasm is contagious and she is passionate about helping you create 'the art that only you can make'. Jamie Ridler - Jamie is a certified coach and writer and her website contains a plethora of resources. You will find Jamie's popular podcast where she interviewed 'creative spirits' which was recently but is still available as an inspiring and substantial resource. In addition, check out Jamie's Creative Living TV and many other useful resources too. National Gallery, London - A fantastic resource of exhibitions, artist information and many quality resources. Angela Fehr - Angela makes really good quality instructional art videos on a regular basis via You Tube on a variety of mediums and styles. Great resource. This is a great resource if you're looking for an outlet to sell your artwork and need a brief overview of the main ones. Unsplash - Unsplash is a fantastic resource for license free reference images. I use them often. Fine Art Tips - Learn how to draw shades from this popular You Tube artist. Ivy Newport, Artist - Ivy's website includes some of the best online art classes around. Her teaching style is very approachable for all levels of art experience. Ivy also has a delightful creativity community that is very welcoming and inspiring for all. 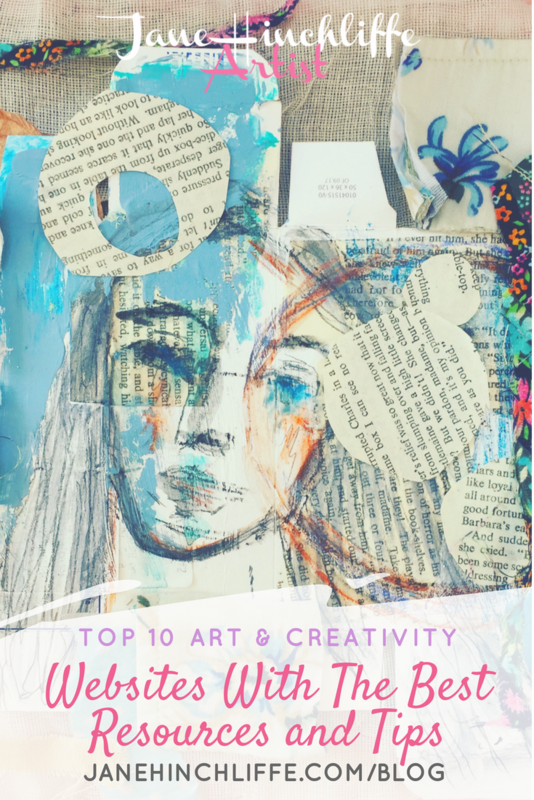 Juliette Crane - Juliette offers a number of mixed media online classes which feature her distinctive and whimsical style, as well as a business class. . There is also a business class offering too. Dirty Footprints - Connie Solera is the talented artist and entrepreneur behind Dirty Footprints. Connie offers retreats and online journaling and painting classes. She has many years of experience and her artwork is always soulful, vibrant and expressive. So, I hope these art and creativity websites are of help and if you have additional favourites, please feel free to share in the comments below.